The minifig-scale Droideka (or Destroyer Droid) in official LEGO sets kind of balls up, but not really. 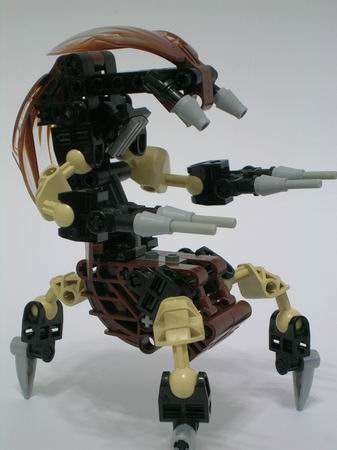 hyf326 has built a fully functional Droideka from Bionicle. Okay, it doesn’t actually roll around and go “pew pew!” Still cool though. Thanks for the plug! I appreciate the help. Lol, I love the sound effects in the description. can you tell me how to build that. This is awesome!!! Does it have directions, I’d like to build it! My son wants the instructions to that. Could you send that to us, please?